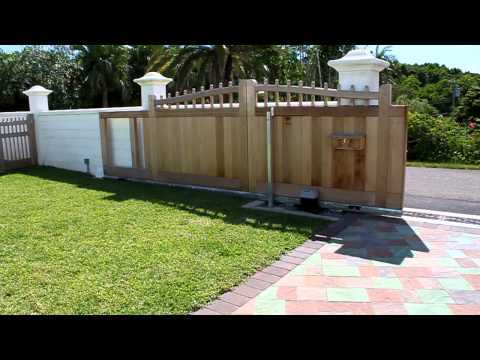 The homeowner fabricated this wood gate himself with the help of a local contractor. 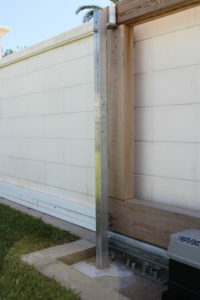 The bottom track is the CGA-345P in aluminum. Notice how well the bottom track attaches to the wood frame. 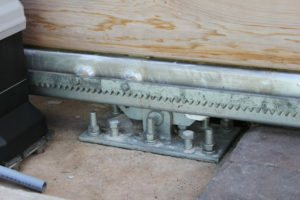 Also note the clever design for the top guide roller. 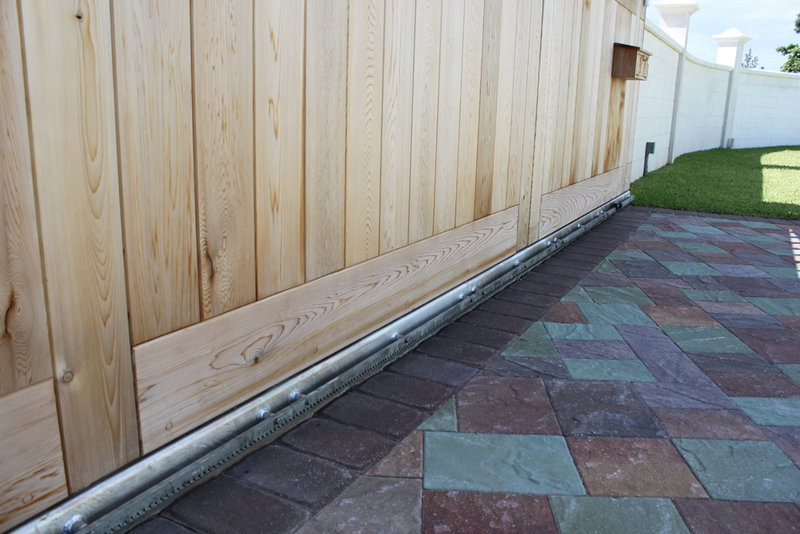 A cleverly disguised flat top on which the roller slides is also able to accommodate the arch. Take a look at the videos also. Also note how close to the ground the gate is mounted. 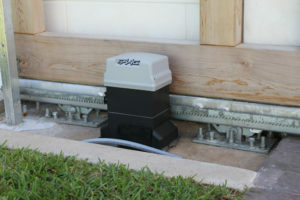 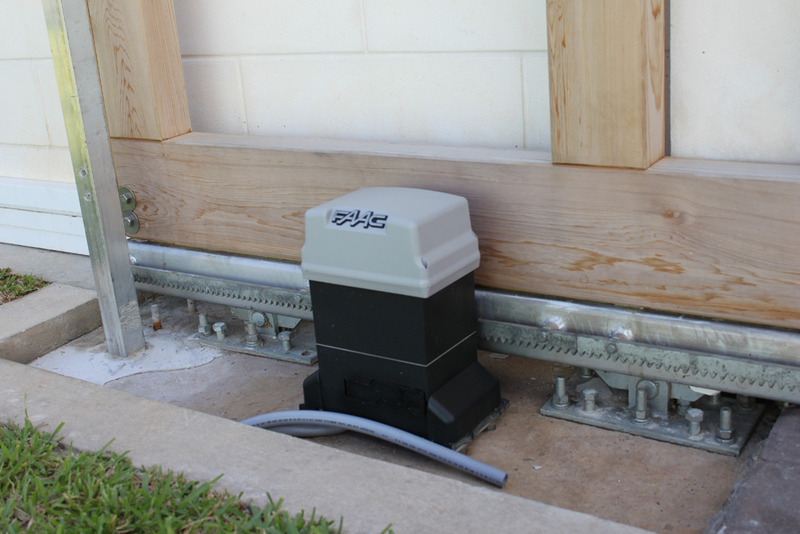 The hardware allows you to raise or lower the distance from the ground simply by adjusting the height of the foundation.